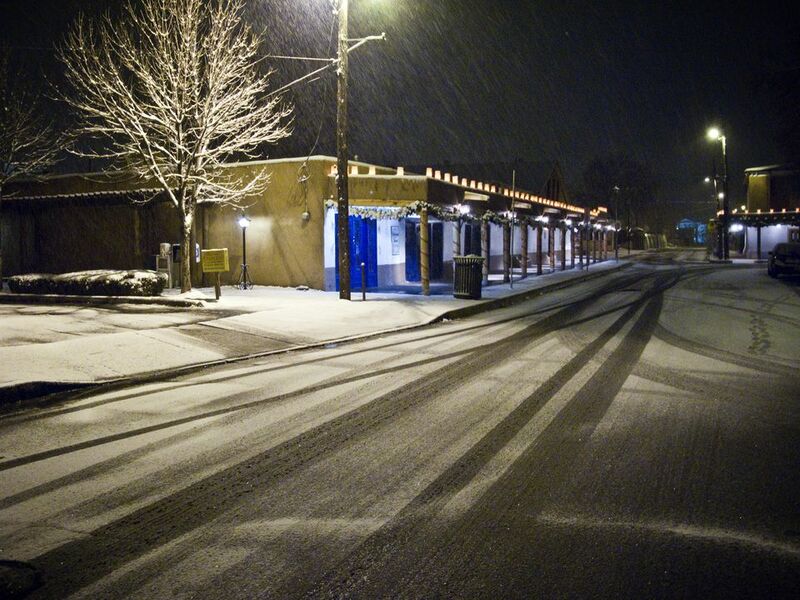 Visitors to Albuquerque might be surprised to learn that this desert city gets snow. In fact, the annual Albuquerque snowfall averages 9.6 inches a year. At 5,312 feet above sea level, Albuquerque is considered a high desert and, at that elevation, it gets cold enough to snow. The average annual snowfall, which also includes sleet and ice pellets, has been compiled since 1931. Many of the weather data given below were recorded at the Albuquerque International Sunport airport, where the city's official weather station is housed. The airport is three miles southeast of downtown Albuquerque in Bernalillo County. It's important to know, however, that like many other places, different parts of the Albuquerque area get more snow than other areas. For example, the east mountain areas and the town of Edgewood, also east of Albuquerque, tend to get more snow than the city. Here's a look at the average monthly snowfall in Albuquerque. If you're visiting Albuquerque in winter, know that the probability of snow is 100 percent. However, unlike other regions of the United States that experience snow, you can expect only a couple inches versus massive snowfalls. In spring, the probability of snow is 80 percent. In fall, it is 48.6 percent. Snowfall is likely to occur most often in December. April snows, known as spring snows, are also more frequent than fall snows. The greatest snowfall for one day occurred in 2006. On December 29 of that year, 11.3 inches of snow fell on Albuquerque in 24 hours. This shattered the record of 10 inches that had stood since December 15, 1959. The third-largest, one-day snowfall took place on March 29, 1973, when 8.5 inches fell. Just a few days later, on April 2, 1973, another 6.6 inches fell. Albuquerque is known for sudden spring snows such as these that, unfortunately, cancel out many blooms on fruit trees. Because the annual Albuquerque snowfall averages 9.6 inches a year, some of the records given below are surprisingly high numbers. The average city in the United States gets 26 inches of snow annually, which you'll see is still much higher than even the snowiest years in Albuquerque. Although there's not much snow in Albuquerque, never fear if you're a winter sports enthusiast. Less than an hour away are the Sandia Mountains, with elevations of up to 10,678 feet. In this area is the popular Sandia Peak resort where you'll find winter activities such as skiing, snowboarding, and snowshoeing for all levels of experience.